Whether it’s a small-town, mom-and-pop pizza joint teaming up with a local organic farm or a global automaker aligning itself with several major trade groups, one thing is certain – in business, it pays to have good partners. FCA US LLC is pleased to count among its partners in 2019 two national trade associations – the National Association of REALTORS® (NAR) and the National Association of Home Builders (NAHB). 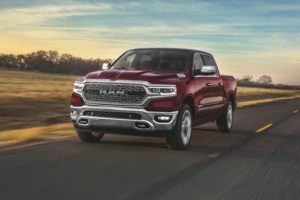 All members of these associations are eligible to receive a special incentive toward the purchase or lease of select Chrysler, Dodge, Jeep®, Ram or FIAT® Brand vehicles. The fact that immediate family and employees of members are also eligible for the allowance makes the partnership with FCA even more valuable. NAR and NAHB members should follow the links below for information on how to claim their respective member benefit when purchasing or leasing a new vehicle from FCA US LLC. As a final note, keep in mind that this special incentive does not replace but, in most instances, combines with other currently available offers. 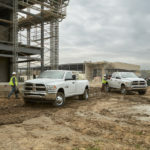 Please contact your local Chrysler, Dodge, Jeep, Ram or FIAT Brand dealership for more details, and bookmark the FCA Work Vehicles blog for future posts on how professionals like you stand to benefit from a strong relationship with FCA US LLC.